When Merciless Marvin the Magnificent finds his way into Macy’s department store, he thinks he’s discovered the best deal a mouse could wish for. Soon Marvin and his pals Raymond the Rat and Fats the Fuse are cozily settled into a dollhouse in the toy department; before long they’ve even made friends with the store’s beloved Santa. Then, to their dismay, Santa goes missing. The world outside the store is dark, cold, and dangerous. But that won’t stop three brave mice. 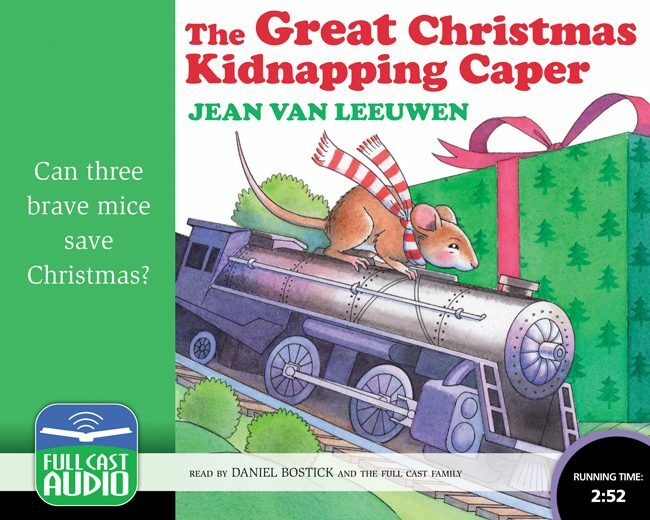 Marvin and his gang will risk whatever they must to crack the crime, rescue Santa, and save Christmas! Full Cast’s first Marvin recording, The Great Cheese Conspiracy, won a Publisher’s Weekly “Listen Up” Award and the 2005 Golden Headset Award for Children’s Audio. Now our artistic director, Daniel Bostick, reprises his hilarious rendition of Marvin—and caps off the recording with a special bonus: the beloved poem “A Visit From St. Nicholas” as recited by Marvin himself!